​The Alberta Recycling Management Authority’s (ARMA) Province Wide Recycling Program, currently only sponsors the following materials: ~ TV’s (LCD, CRT or Plasma) ~ Computer Systems: ~Computer Accessories (Monitors, mice, keyboards & speakers) ~Computer parts (Cables, Cords, fans, power supplies, Hard drives for destruction, CPU, ram chips and boards) ~ Laptops, notebooks, tablets and E-readers ~ Printers, Fax Machines, Copiers and Scanners. Some examples of Ineligible Material that will be accepted by Technotrash Alberta Ltd, but are NOT currently sponsored by THE PROGRAM are: ~ Wires and Cables (Christmas lights less bulbs) ~ Home entertainment (VCR/DVD players, stereo equipment, cable boxes, Videogame consoles / accessories and etc.) 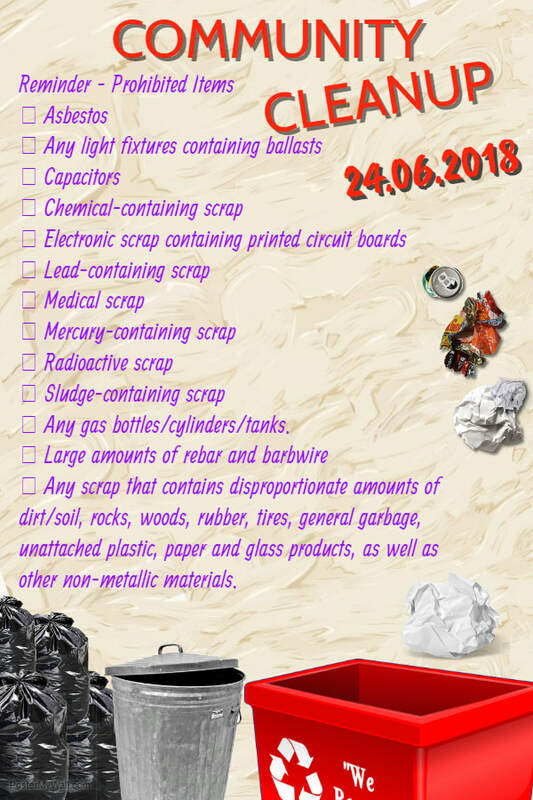 ~ Networking/Telecommunications Equipment (hubs, switches, routers and phones) ~ Cell phones and accessories ~Testing Equipment, Circuit boards Technotrash reserves the rights to refuse any item NOT on the ARMA Sponsored Material List or any Ineligible item with too much plastic.